 Charbonneau (Stalk, 1992) shows little imagination in this by- the-numbers thriller. In the post-Cold War era, those who commit crimes against the environment are becoming the bad guys of choice. 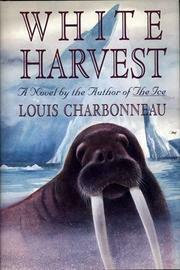 Unfortunately, Chardonneau's replacing of Soviet spies with ivory poachers while following the same tired plot structure does little to elevate the genre. In Alaska, Travis Mayberry and Wolf Simpson have hired a group of Eskimos--including 19-year-old Billy Mulak, who is being paid with marijuana and cocaine--and armed them with AK-47s to slaughter a herd of walruses for their tusks. In particular, they are after one ancient bull walrus known as ``Muugli,'' or ``The Great One.'' Having killed over 100 of the animals and wounded Muugli, they begin detaching the tusks from the bodies but are forced to flee without collecting their booty because a storm is approaching. They are convinced that the tusks will be safe where they are and plan to return by plane to collect them. But Billy's father, an old-school Eskimo who believes in living at peace with nature, happens on the tusks first and hides them in a bear cave. A chase soon ensues that also involves Kathy McNeely, a marine biologist and ornithologist who has come to Alaska on behalf of ASSET--the Association of Scientists to Save the Environment--in order to show that a new oil pipeline will make the area unfit for birds. Stereotypes abound: Billy's sister Ruth is the village teacher who is torn between her curiosity about the outside world and loyalty to her people, and the ivory is being sold through a chain of command headed by fierce ``dragon lady'' Madam Lu Chang. The action is perfunctory at best. A thoughtless retelling of stale material.